Combination of mostly Wireworld, and Audioquest speaker cables. Sewell Silverback 12g 10ft, with banana plugs of the same name. They've been ok for my start, but it's time for an upgrade. Also the (very long, and very finicky) Neutrik connector for the REL T-zero sub. Just got my office/library built-ins almost complete, after months of waiting, and contractor screw-ups. Now it only needs knobs & drawer pulls, and they will be out of my house! Now I will no longer be headphone restricted. I added Pangea power cords, and have AudioQuest Cinnamon and Red River interconnects. Questortapes74 was gracious enough to check out my space, and help me with my initial setup yesterday. A special thanks to him! The important thing I was waiting for was to measure speaker cable lengths, and seeing what the runs look like. There will be some relatively tight bends. This thread in particular, along with AA's "Search" function, has been extremely helpful to in finding the next step in quality upgrades. What to do with the excess Neutrik cable after determining sub placement, and whether and how to terminate the bare ends will also be one of my next quandaries. Then I will bide my time and sweet talk (and probably bribe with jewelry, purses, and shoes) my lovely wife into a power conditioner upgrade. I'd like to highlight the tremendous help this forum has been to those of us more prone to lurking than posting. The knowledge contained by the site would not be possible without the expertise and experiences of all the contributors. Audioquest WEL sigs for SC. Audioquest WEL sigs for PC. Audioquest and Transparent are tied!! I had Wel Signature phono cable & rca interconnect and I recently decided to try the speaker cable from WEL line. Sniper sharp positioning of the instruments, lots of detail, black background, stone firm soundstage. But I feel that is somehow congested, sorry for not finding a better word. Since this is a brand new cable with barely 15 hours so far, what am I to expect in the future with the burn in process? How many hours to fully burn in? Your or somebody else's experience will be very appreciated. Currently, 2 WW Platinum Eclipse XLR's, WW Platinum Starlight 110 ohm AES/EBU Cables & Crystal Cable 1394 firewire 8 pin (edited post 5). 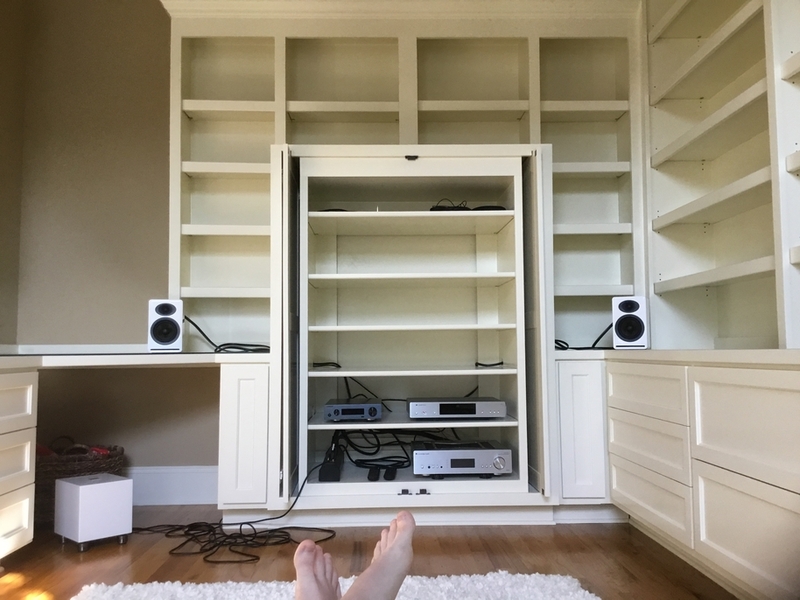 The above posted 5 years ago -- a lot has changed since then -- mainly Nordost Odin 3M Speaker Cables (spade/spade), 3 Nordost Odin Power Cords, 3 Nordost .5M Valhalla Digital Cables (BNC/BNC 75 ohm clock -- verified w/dCS chief engineer, 75ohm is spec'd), Ansuz D8 Distribution "Ring Ground" Power Box & an Ansuz Ceramic Power Cable. A Nordost Valhalla Tone Arm Cable provides the bandwidth highway of the SME V tone arm to the C1100. I have yet to try an Ansuz Diamond Power Cable & Ansuz Ceramic XLR which is sitting in a box in the corner. No time to audition/A-B at present. For the most part, I'm in the "other" camp. Last edited by vintage_tube; 10-04-2017 at 01:05 AM. Wow! Just finished connecting new speaker cables. Took out the Sewell mentioned above, and replaced them with Kimber 8TC. Holy Mackerel, Batman! Let me preface this in a couple of ways. Being relatively new at this, I don’t pretend to have a trained ear. However, in the office staff refers to me as “Horton” because they say I hear everything. I have also been able to subconsciously find trained listener’s system was off center, confirmed by measurements and others afterwards. I trust my own ears. The next point would be that my system is not the most revealing (see my signature), probably primitive by some standards here (but I am slowly working on that). It’s relatively small system in a small space (home office/library), but it’s what I have to work with. With that, both before and after, I placed on what apparently has become my reference CD: Gorrilaz’s Demon Days. I have turned to that because the wide range of frequencies and sounds. The cliche... hearing it for the first time all over again can be true. I don’t know how else to say it, but: My brain smiled. Then, I smiled. It is that obvious to me. I am a believer. One change in the system, an isolated variable, and I experienced that “sonic smile.” A part of my brain lit up in a healthy way. I am convinced this is not placebo, and I do know a thing or two about placebo. I am not generally the suggestible type. I am hearing things I never noticed before, especially on the upper end (I have yet to replace my sub cable, but that is next). Percussion is crisper. The inserted sound effects are clearer. Voices are smoother when they are meant to be, and the rough & staticky effects on other voices are even more what they were meant to be. I’ve heard high end cable in high end systems, but never experienced this isolated variable phenomenon. As I said, “I trust my ears.” Cables do make a difference. Thanks again to everyone for their contributions! As a new convert -- now comes the expensive part. Take it slow and you will reap rewards. Having owned many and auditioned/borrowed from the vast library of The Cable Company , including most but not all cables out there for almost 30 years being in this hobby, Transparent stood out the most. That’s what I used in my systems at the pinnacle and that’s what I would use today if building another. As always, YMMV... and there are many others for other tastes and systems.